Founded in 1969 by William J. Holston, SoLA is an independent 7th- 12th grade day school. We are located inside the “Historic Sacred Heart Hospital” building in the family friendly East Hill neighborhood of Pensacola, Florida at 1010 N. 12th Avenue Suite #228. 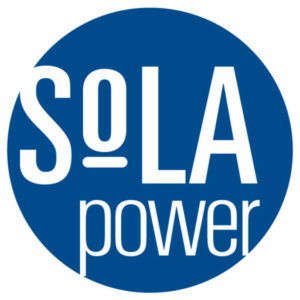 SoLA is an inclusive school community offering a safe learning environment for the purpose of a Liberal Arts education. Our small class sizes support an atmosphere where each student is given the opportunity to meet their full potential and become confident, life-long learners. Mission Statement: The Pensacola School of Liberal Arts (SoLA) is a nonsectarian, college preparatory middle and high school. SoLA offers a broad and engaging curriculum designed to provide a strong foundation for academic excellence, develop the potential of students, and cultivate independent thinkers, while encouraging creativity, integrity and balance. Its purpose is exclusively for students in grades 7th through 12th in the EscaRosa area.